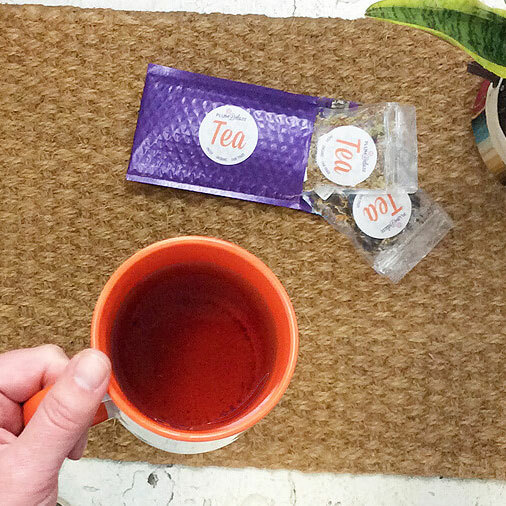 Your favorite everyday tea doesn’t always have to be a typical breakfast black tea. Herbal teas can be a great change of pace in both caffeine levels and flavor. But if you’ve ever asked yourself how to make herbal tea taste better, maybe your mug is in need of a little experimentation. 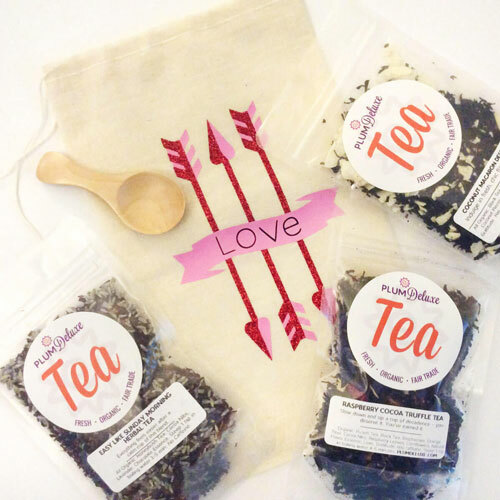 Unlike other teas, herbal teas are often made with natural sweeteners like dried fruit or licorice root, or even other sweet indulgences like chocolate and cacao shells. 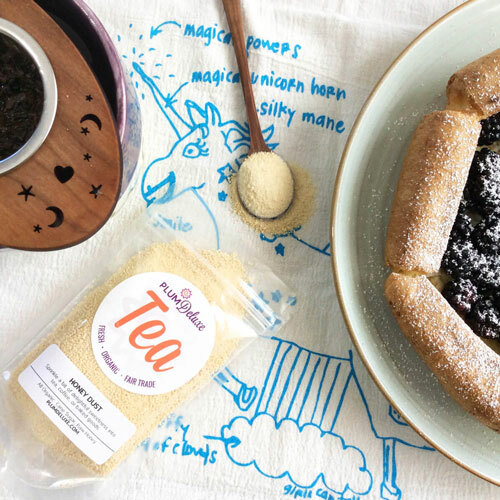 Herbal teas aren’t just for sick days anymore; they can be the dessert treat or flavor powerhouse you didn’t even know you were missing. 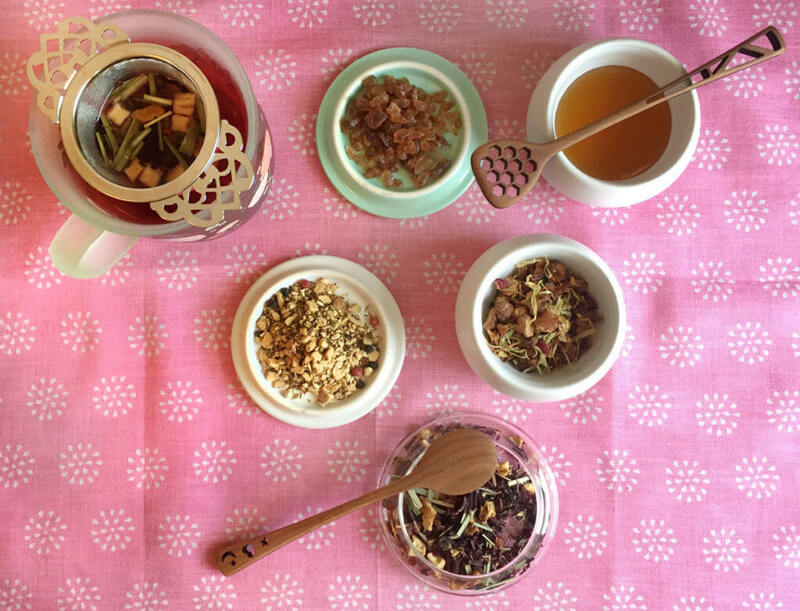 Herbal teas come in all shapes and styles, and so their brewing needs can have an equally wide range. Some herbs are strong and dominant, and others are light and delicate. Pick out the problem you’re having below and see if the suggestion helps your experience. Tea is too mild and boring — Steep for a longer time, or at a higher temperature to get the most flavor out of the herbs. Don’t worry about scalding the leaves; certain herbal teas need the higher temperature to open up during brewing. Also try an overnight brew to maximize steep times. 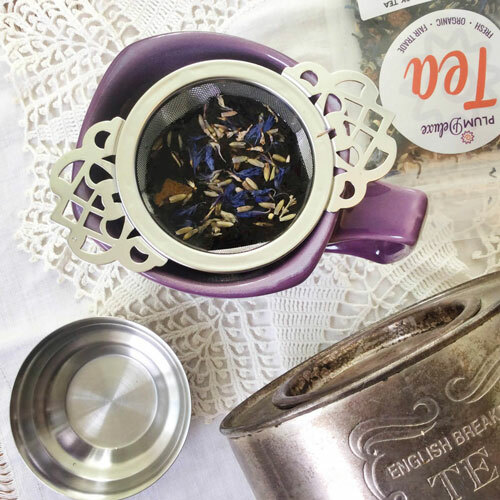 If you are brewing tea with larger blossoms or add-ins like fruit, be sure to brew in a big infuser to give the tea plenty of room to expand and impart its best flavor. Once you have your technique down, try brewing a delicate herbal like Calm Chamomile Bloom and see just how flavorful it can be. Tea is too bitter or sour — Steep for a shorter time, or at a lower temperature to get a brew more focused on the good flavors hiding within. Also try brewing with fewer leaves to get a gentler taste. Avoid bitterness by steeping in cold water and see if the chilled temperatures affect the flavor profile. Try these brewing styles on Just Hibiscus herbal tea and see if it your brew mellows out to your liking. If you’ve tried every brewing style but are still asking how to make herbal tea taste better, it is possible that you are missing the perfect add-in to change your cup of herbal tea. Adding milk will transform the chocolate flavors of Easy Like Sunday Morning blend. Brew this tea as a foamy latte to give it body and bring out the smooth chocolate flavor with the creaminess of the milk. Herbal teas are great candidates to be brewed as part of a hot toddy. Brewed with honey, lemon, and maybe some spirits if it suits you, this can be the ultimate cozy cup on a cold night. Pair your toddy with a sweet and earthy brew like turmeric-maple Hello Sunshine, or go for a classic herbal heat with the ginger-heavy Rejuvenation blend. The fruity flavors and low-pressure caffeine-free nature of herbal teas can make them the right match for a fun summery treat. Use herbal tea infusions to make your own ice pops. With an herbal tea like White Chocolate Peppermint, your tea ice pops might even verge into the realm of ice cream. Or mix your herbal brew with sparkling water to make your own tea-infused soda. Pineapple Pop blend brings a lot of pizzaz to any cup. Perhaps the most important piece of advice I can offer is to know you taste preferences. Some people simply don’t like hibiscus or cloves no matter how many times they’ve brewed them. If that’s the case, this becomes less of a question on how to make herbal tea taste better and more of a quest to find the herbal tea ingredients that you love. Be attentive in your tea choices and look for herbal teas without those triggering flavors. 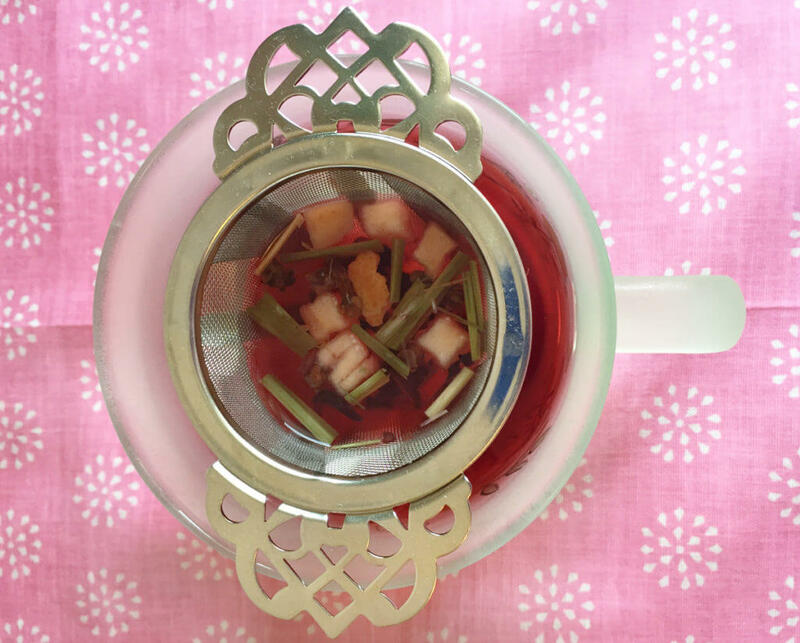 Want a fruity tea without hibiscus? Try Tranquil Peach blend; made with dried apple, pineapple, and other fruit flavors, it will feel like a fruit basket in your cup without any pesky hibiscus. Not a fan of red rooibos? Try a blend with the much more mild green rooibos. 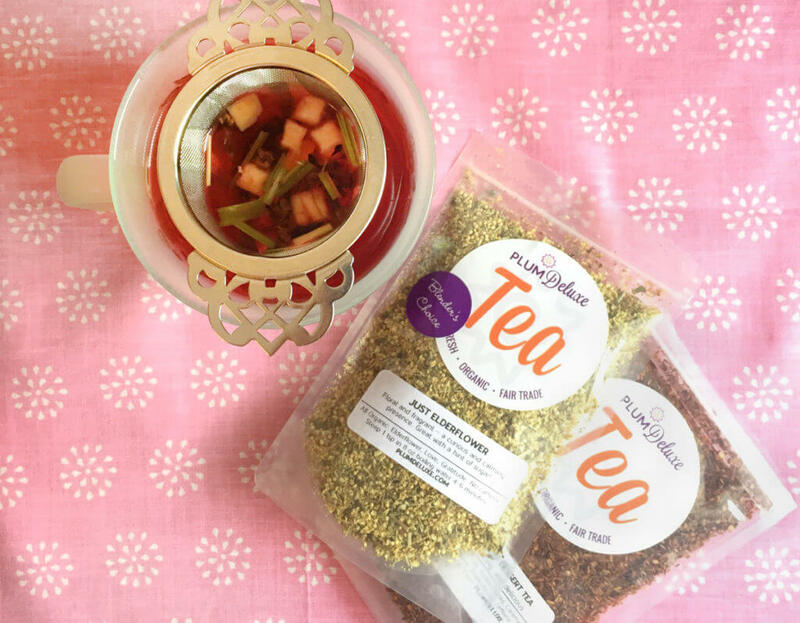 A green rooibos herbal blend like Dance Like Nobody’s Watching really lets the fruity notes of passionfruit and mango shine without being overshadowed. Like sweet teas? Don’t be afraid to add sweeteners. Herbal teas easily take to sugar and added sweetness. Find the type of sugar or sugar alternative that pleases your palette. 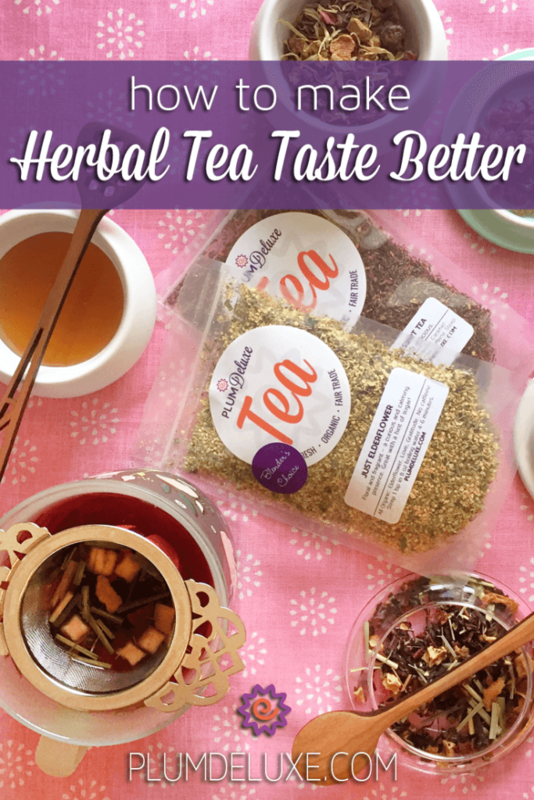 Try some new herbal tea flavors or some new strategies for how to make herbal tea taste better and be happier with the herbal brew in your mug.